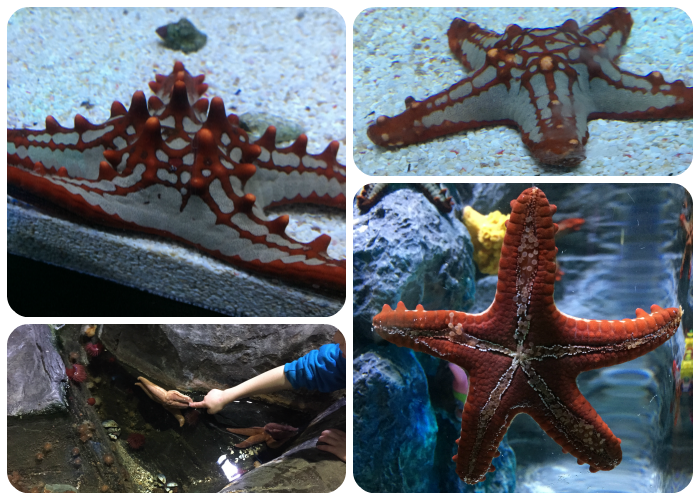 Last weekend we visited the national Sealife Centre in Birmingham to see their new star attraction Sea Stars where you can get up close and personal with an eye catching array of star fish from around the globe. The species on show include Brittle Star, Chocolate Knobbed, Common Starfish, Red Knobbed and Sun-Star, which can have up to twelve arms. 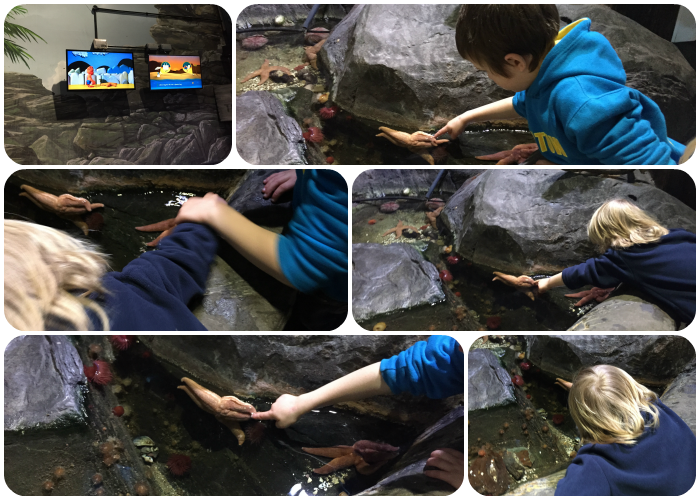 The boys loved being able to get up close with the starfish in the touch pool, where there was a number of star fish to stroke. At 1st however JR was slightly weary as to what they would feel like, but once he’d got over his initial fear he would’ve quite happily stayed there all day. 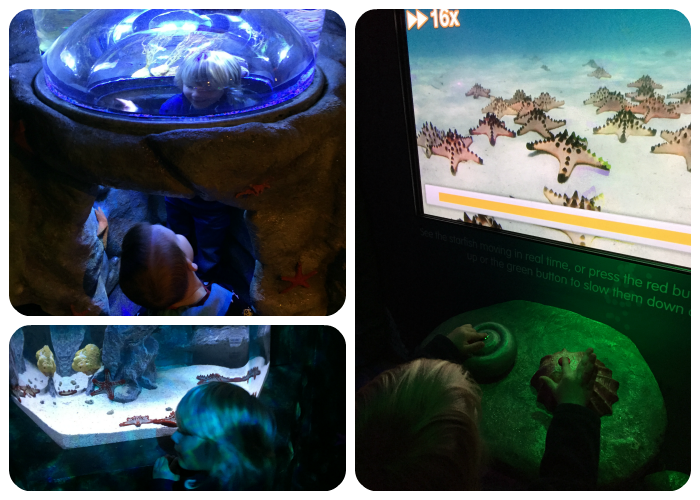 When we got to the sea stars area TP was amazed by the starfish and all the activities avaliable, like being able to speed up and slow down a video of starfish moving, and being able to stand ‘inside’ the tanks. There aren’t many things besides jigsaws and lego that hold TP’s attention for more than a minute or two but the starfish certainly did, and to me that is a tribute to the way the area is set up and is incredibly hands on and child friendly. I learnt quite a few starfish facts too including how they have been around for over 450 million years, they have the ability to regenerate lost limbs, project their stomachs to eat and the ability of some species to reproduce asexually. 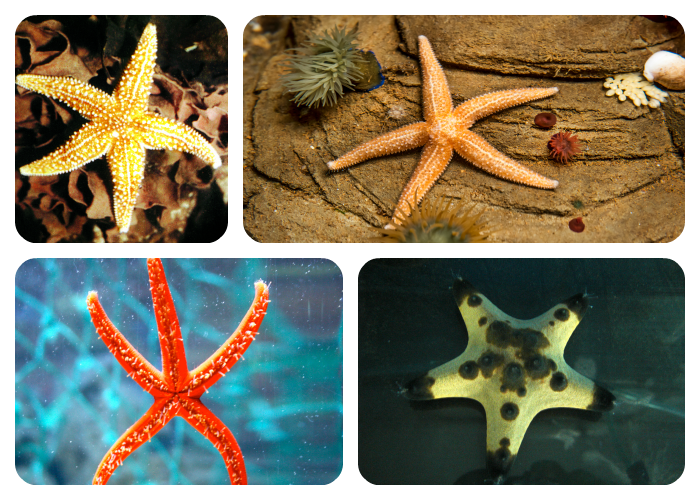 I didn’t realise that starfish species came in such a wide variety of shapes, sizes and colours. My favourite were undoubtedly the Red Knobbed starfish, who seemed to love being photographed. Of course whilst we were visiting the sea stars attraction we also got to look around the rest of the sea life centre, which is home to 16 displays featuring over 2,000 creatures, including sharks, a rescued Giant Green Sea Turtle, otters, jellyfish, piranha, octopus, rays and an adorable colony of waddling Gentoo penguins. I particularly enjoyed walking through the underwater tunnel with a giant sea turtle, sharks and rays swimming above my head. Disclosure: We were given free access to The Sealife Centre Birmingham, for the purposes of this review, all words and pictures unless otherwise stated are my own. 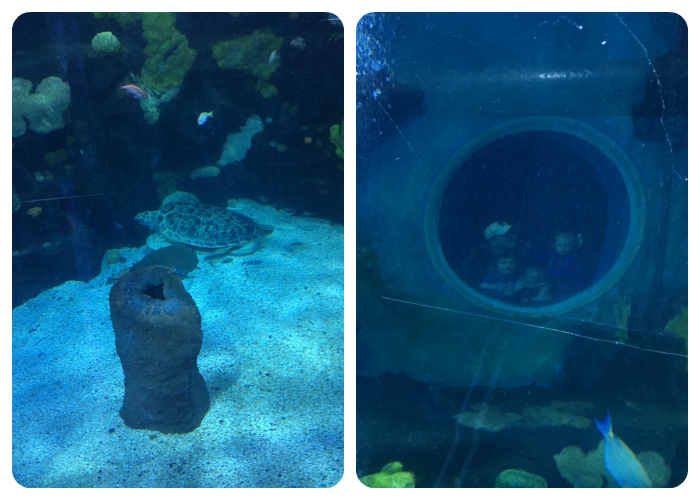 This entry was posted in Days Out, Review, The Tiny Three and tagged Birmingham, days out, days out in birmingham, sealife centre, starfish.